Our 2017/18 Volvo Ocean Race coverage is presented by Musto, Official Apparel Provider of the VOR. No one’s quite sure whether it was the inclusion of Grant Wharrington’s local knowledge, Libby Greenhalgh’s excellent navigation, or straight up luck that gave Hong Kong Scallywag the all-important victory into the team’s home port (and with a secret press conference today where questions weren’t even allowed from reporters, no one’s going to find out soon). We have learned, however, that if not for a well-timed message from Race Control, Witty and friends may have spent a few days sitting 0n a reef – or far, far worse. Here’s the Jury’s decision regarding the unquestionable ‘outside assistance’ that kept Scally safe enough to pull a rabbit out of their hat at the leg finish. 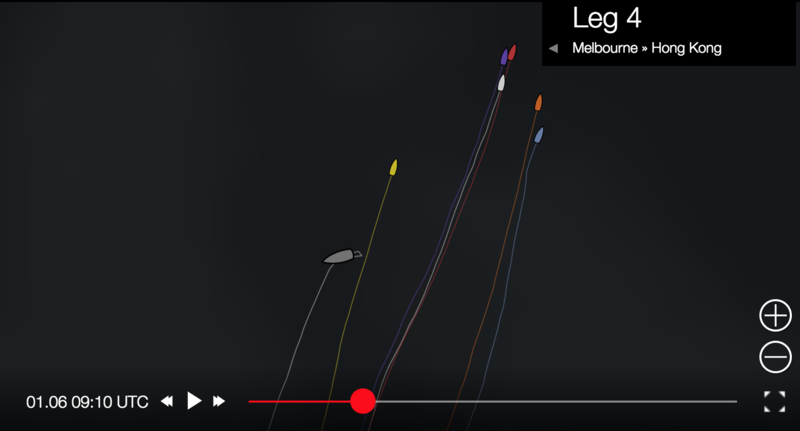 To watch the replay of the incident, head to the Leg 4 tracker and backtrack to 0900 UTC on 6 January. Just so I can relax a bit here in Race Control, tell me you are happy with you course in relation to Nerues Reef on Landsdown Bank. The Australian Charts have the Reef extending to 160 35E which is further east than the C-Map charts show. 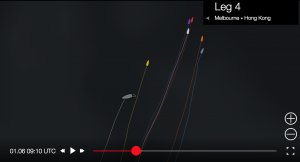 Race Control did not give SHK Scallywag any further navigation advice. 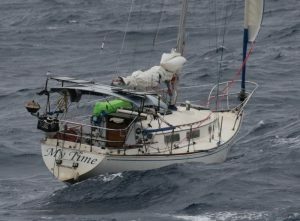 SHK Scallywag lost 50 miles whilst the crew worked out a way around the reef. The Jury advises that Race Control’s action did not result in a breach of rule 41 by SHK Scallywag. SHK Scallywag did receive help from an outside source, in this case the Race Control. However, the help given is permitted under rule 41(d). The information was not requested by SHK Scallywag so it was unsolicited information. The source, in this case a member of the Race Control, was a disinterested source for the purposes of rule 41 because he had no personal or other interest in the position of SHK Scallywag relative to other boats in the race. Nor would he gain or lose in any way as a result of the position of SHK Scallywag in the race. The source was an employee of Volvo Ocean Race who, as a member of Race Control, has a responsibility for the safety of all competitors. Asking the question he did was therefore a proper action for him to take.